After a slight online shopping accident involving enough parsnips to feed a small army, I’ve been looking for new ways to use them up. Don’t get me wrong, I love a roasted parsnip and am a big fan of parsnip soup, but after the 4th serving they rather start to lose their appeal. So what about parsnip crisps? 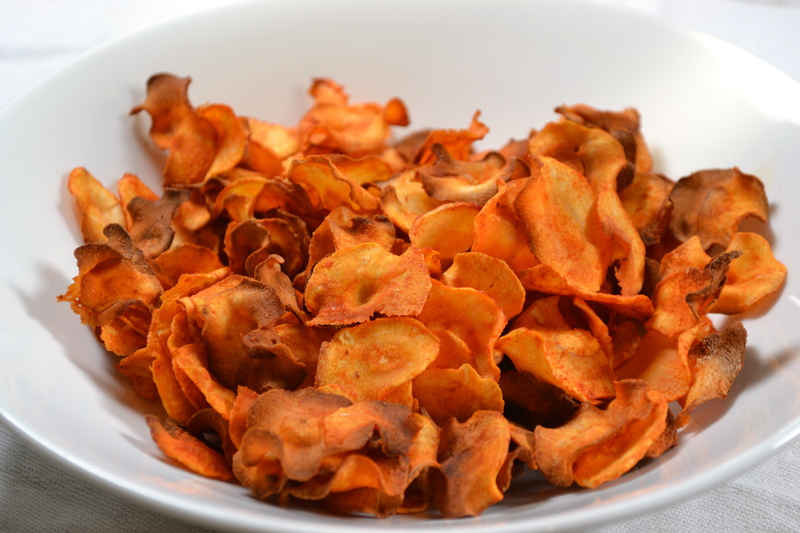 Tyrrell’s parsnip crisps are delicious, and I decided they couldn’t be that hard to re-create at home. 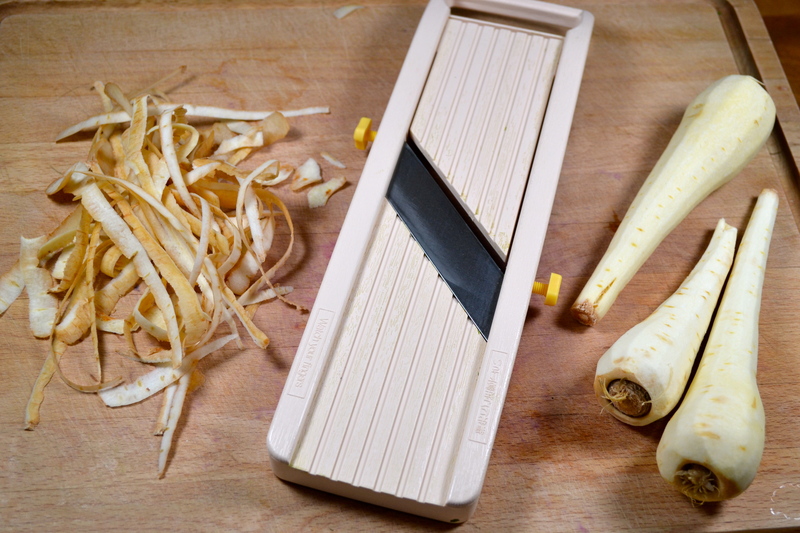 Plus, they use up a large amount of parsnips relatively quickly – hurrah! 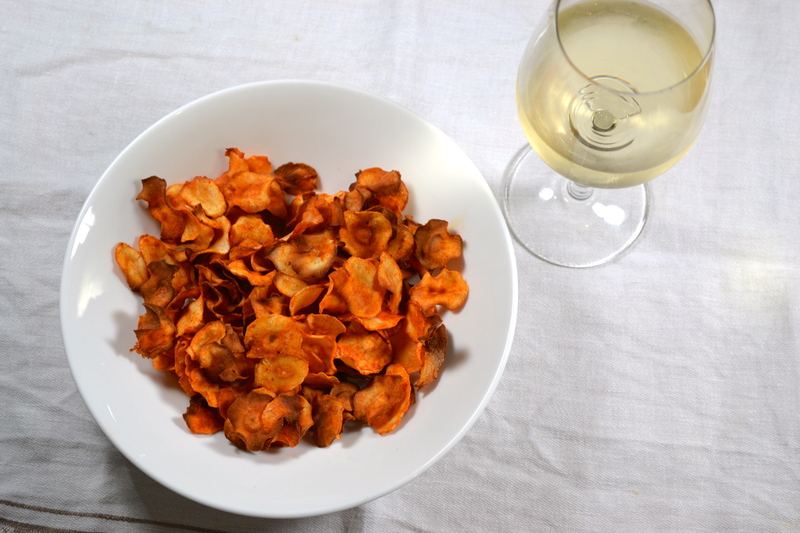 So if you’re looking for something a little more exciting than your average potato crisp to nibble on this Christmas then look no further than this recipe for Paprika Parsnip Crisps. 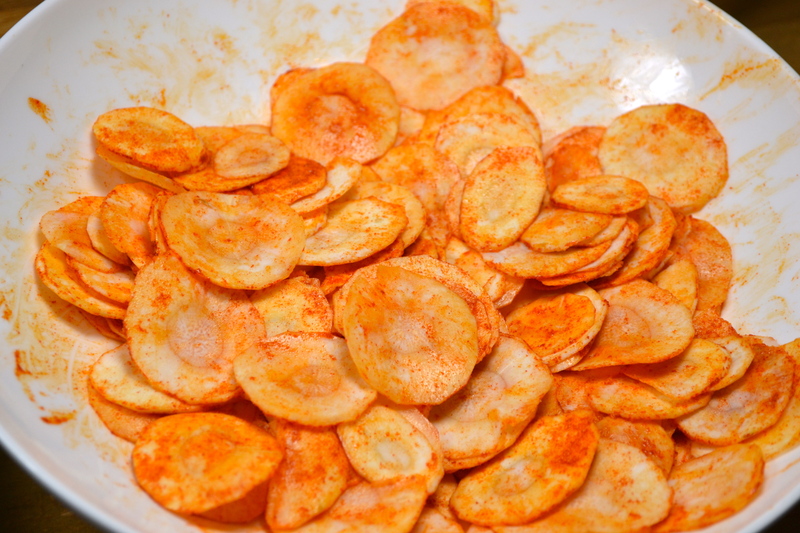 If you don’t like paprika, fear not! These are just as good with salt and black pepper (a la Tyrrell’s), or a sprinkling of cumin instead. I’m sure that most of you aren’t too concerned about your waistlines over Christmas. Quite frankly, it’s a losing battle when you’re no doubt surrounded constantly by delectable morsels whether at home or at work. But just in case you are, as a bonus, these crisps are baked not fried. They could almost, therefore, be viewed as healthy. Baking rather than frying the parsnip slithers does mean they’re not quite as crunchy as a traditional potato crisp. They do still crunch though, and with their coating of paprika and salt they taste divine, making them the perfect accompaniment to a glass of wine or bubbles this festive season. 1. Preheat your oven to 190°c/170°c fan/gas mark 5 and line 3 baking trays with baking parchment (if you have 3 – if not, just work in batches like I did). 2. 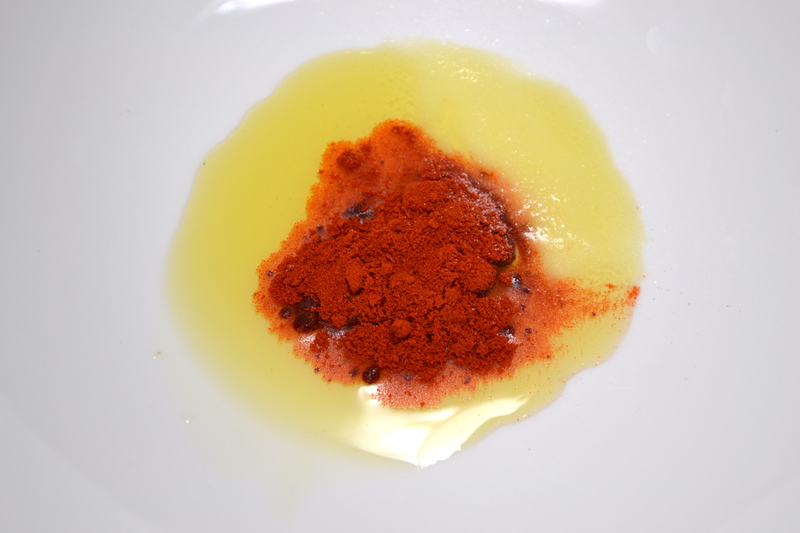 In a roomy bowl mix together the olive oil, salt and paprika. 4. Tip your parsnip slices into the olive oil mix and mix well to ensure all slices are coated evenly. 5. Arrange the slices on the baking trays in one layer. 6. 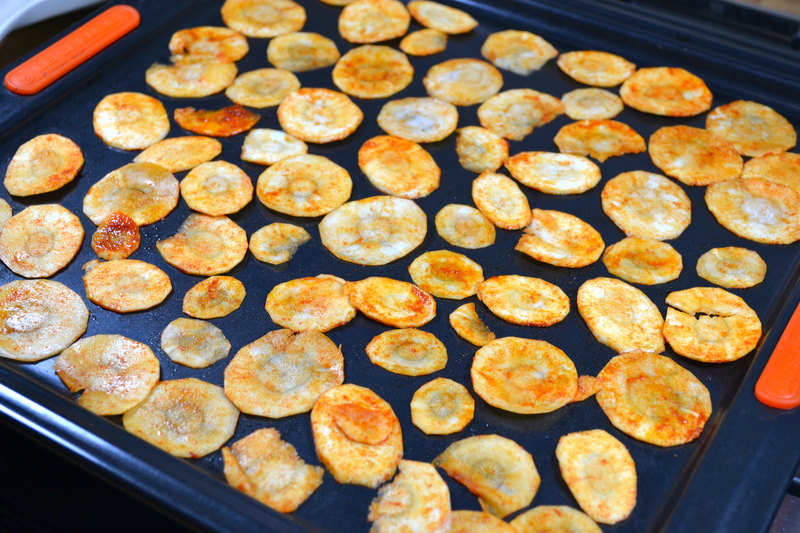 Place in the oven for 15-20 minutes until they have curled up around the edges and have started to crisp up. They will crisp up more once out of the oven so leave to cool on the baking parchment before putting into a bowl and serving. These do not store well unfortunately so make sure you eat them as close to making them as possible.